If you’ve ever been curious about that long dropdown menu on your Photoshop layers bar, then this is the tutorial for you! 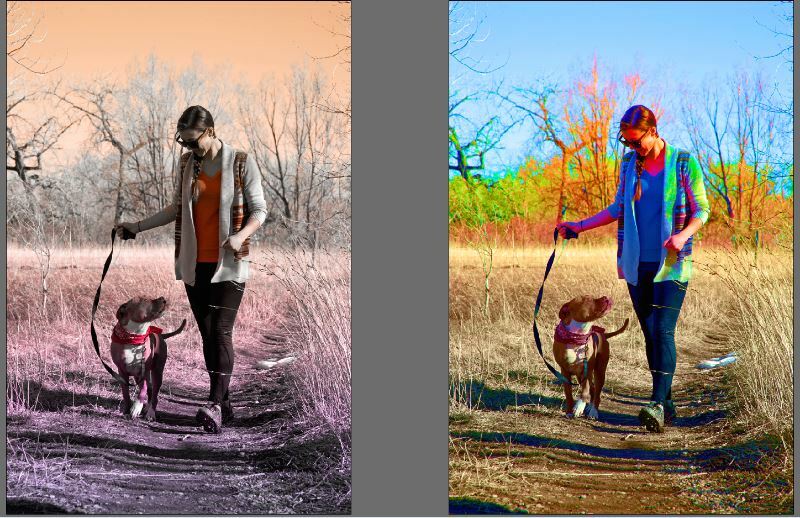 The array of options helps to adjust your image using different blending techniques with multiple layers, and if used correctly, can result in seriously cool results. To begin, you need to be comfortable adding and editing layers, which you can explore under…you guessed it…the “Layers” option at the top menu bar. Once you’ve opened your base picture, you can add to it using a “fill” or “adjustment” layer. Now for the fun part! For this tutorial, I selected a fill layer using a violet-to-orange gradient pattern (just because I think it’s pretty) in a “linear” style, with a 90 degree angle and 100% scale. Here it is next to my base image. There are a multitude of options when working with a gradient fill: you can change the color schemes, pick an angle to slant your gradient, and make it smoother or harsher. And don’t forget- as always; you can adjust the opacity of that layer to further fine-tune. When you first add your gradient, the blending mode default is on “normal”, which creates a solid pattern that completely obstructs your base image (we call this the “unblended” state). But before we can go any further, let’s introduce you to your blending options, using this handy dandy diagram. For the sake of brevity, I’ll just go over the groups and general effects of each group, and let you play around with each one yourself! 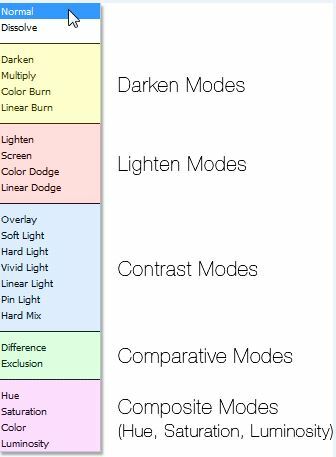 Blending modes are broken down into similar groupings based on their manipulation styles: darken, lighten, contrast, comparative, and composite. As you can see, the overall image is deeper, but much of the detail has been taken out and been substituted with a more simplistic arrangement. It almost has a “posterized” feel to it and the color is quite lush. Lucky for you, this style of processing is in vogue these days and is extremely easy to create using one layer + mask. Soft gradient fills (most often in a radial or reflected pattern) using orange-y or green-ish hues are especially trendy. Since there is so much play within this grouping, I suggest toying with the gradient scale and angle in order to find your desired outcome. Kinda weird huh? I’ll leave it at that for now, but if you are of the mathematically-inclined sort, there are several blogs out there that can break it down for you! These are great for working with color-heavy images or when you want to enhance or depress certain tonalities. 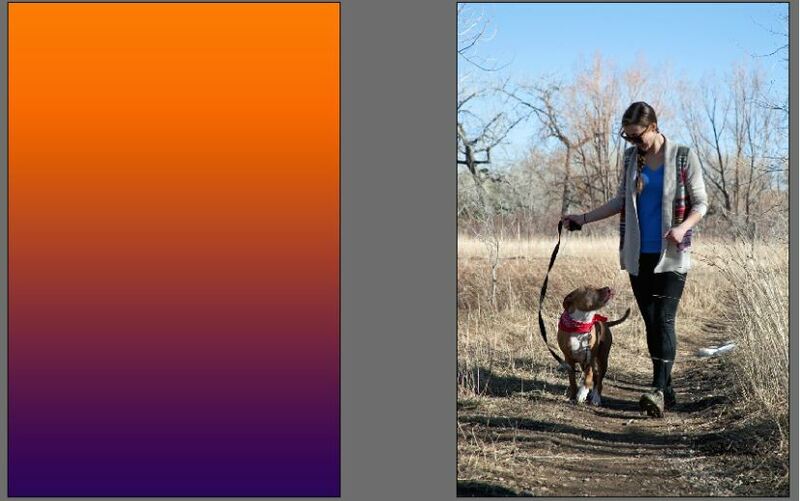 Well, I think that just about sums up the basics of Photoshop blending modes! 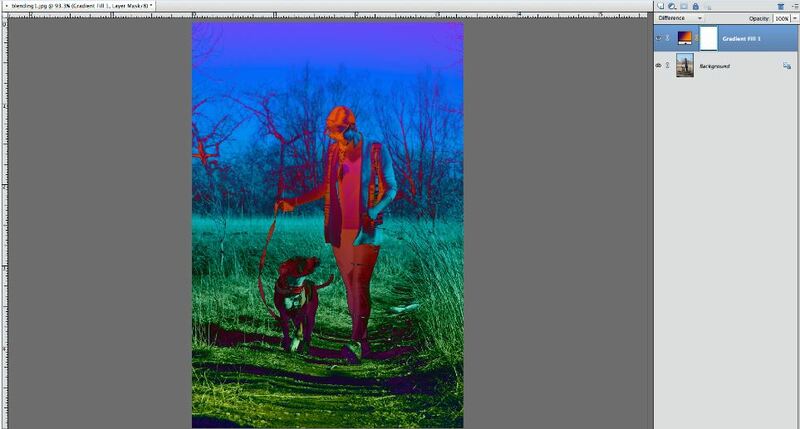 Don’t forget to play around with the individual settings, the opacity slider, or maybe even multiple layers at once! 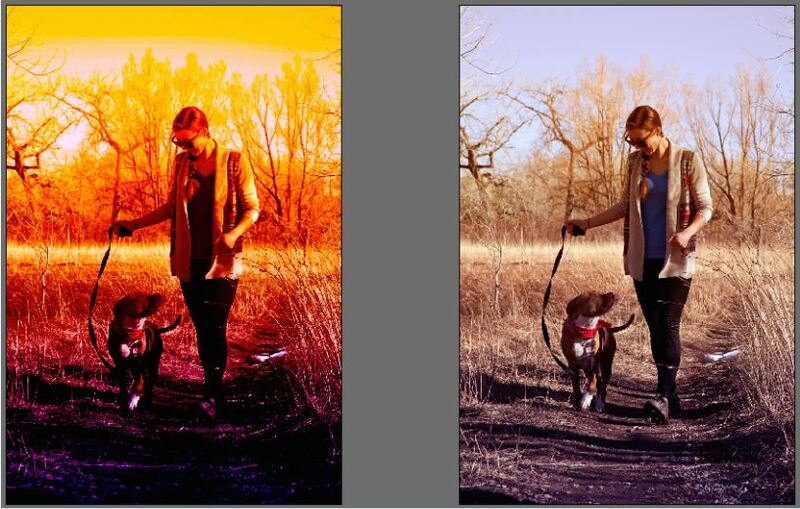 This is a fun and simple way to add interest and individuality to your photos, so don’t be afraid to let your style shine!